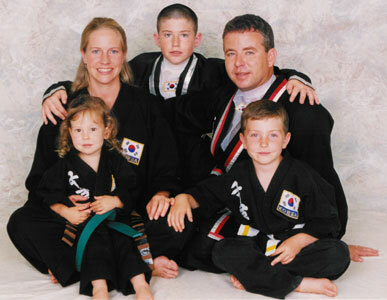 Welcome to Gold Country Kuk Sool Won Family Martial Arts Center. We offer morning, afternoon and evening classes six days a week. Now in our year, we are located at 127 Argall Way in historic Nevada City, California ... in the heart of California Gold Country. For more information or a free introductory lesson, call (530) 478-1412. Kuk Sool Won, which can be translated as Korean National Martial Arts Association, is a systematic study of all of the traditional fighting arts which together comprise the martial arts history of the Korean nation. As such, Kuk Sool Won is an extremely well-organized system of martial arts which seeks to integrate and explore all aspects of the traditional Korean martial arts. As a martial arts system, Kuk Sool Won covers the entire spectrum of the traditional Asian fighting arts and techniques of body conditioning, as well as mental development and traditional weapons training. The About Kuk Sool section goes into more detail.